Get your business apps automatically talking and sharing data — across accounting, ecommerce, billing & invoicing, CRM, fulfillment, inventory management and email marketing. "Easy Integration, Speedy Support Response"
2. Very speedy response from their support team. I have a few questions about the integration, but always be able to get the very quick replies from Marck who is very kind and professional. Actually, at the beginning, the connections with NETO are not successful because of some internal error. Anyway, it was fixed very quickly by their team from backend. Even it is first time for you to do the integration with multiple services or systems, Onesaas could be a good choice. Easy to use and reasonable price. We have 2 web stores and just want to integrate the sales data and inventory data with One Saasu file. Normally, we use legacy NETO-Saasu integration module. We have to use 2 Saasu files. Now, both of sites' data can be integrated into one Saasu file. The seamless integration between Woocommerce and Quickbooks is huge for us. Data transmits quickly and accurately, and we rarely encounter errors. When they do occur, they are solved extremely quickly by the OneSaas customer service team (Adela helped us just this morning and has always been super responsive to any questions). As one prior reviewer mentioned, there is definitely something of a learning curve with the platform, but this is logical considering the amount of data it is managing on our behalf. There are quite a lot of settings, many of which require some trial and error to figure out, but overall there isn't anything too complex. The OneSaas team is always standing by to help, in any case. We transitioned to Quickbooks about a year and a half ago, which was exciting for us. However, we were left with a problem: how to get our Woocommerce data into the accounting software. After some research, we concluded that OneSaas would be our best bet, and we have been incredibly pleased with the platform since that time. It has helped us manage our data and keep customer information flowing between shopping cart and invoicing systems. "Furious with Onesaas. What a waste of my time and money!" The product itself worked, eventually, after several attempts to get it working via live chat though I never completely fixed every error in the sync report. To be fair, I've been using it for 3 weeks and am already looking for alternatives. 3 weeks after paying for 12 months of service, they retired the product I was using and forced me to use another product that is "faster and better blah blah blah". Yes I'm sure it's very good but it does lots of things I have no use for which is why I was on the basic plan to begin with. I'm frustrated because their customer service team did not warn me that the prices would be more than DOUBLED in less than a month and that the 12 month contract I committed to was going to be ripped up at my expense and inconvenience. Great. So instead of $29/mth, they're forcing me onto the $69/mth plan. There was no warning that this would happen and they've left me with a month to find an alternative before they turn off the product. I was using their product to import data from sales channel into my accounting software. 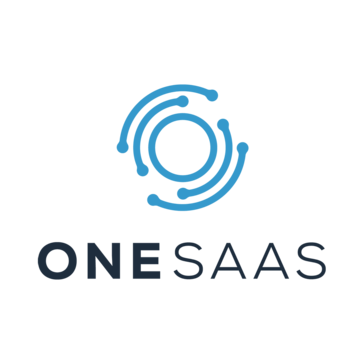 I had to upgrade my accounting software and make some heavy changes to the way I management inventory but now after three short weeks of using onesaas I really regret my decision to trust this company and am looking at alternatives. The customer service from Johnny and the rest of the team have been second to none! We've been able to directly email our contact, Johnny, every time with exceptionally fast responses. Any major question or issue are passed directly to the right staff member who can help us without fuss. Every question or issue has had concise responses including ongoing updates to changes with the system that we may have been looking into. For us, this has been a learning curve. There are system integrations that don't work directly with our current processes but between ourselves and the OneSaas team, we have been able to work around most issues. If the system fits what you are after I can guarantee that the OneSaas team will be there every step of the way to support you. A connection between 2 separate storefronts (both on Big Commerce platform) and an inventory system (Unleashed). The ability to house inventory in one location and update both storefronts simultaneously has been invaluable. "A huge time-saver and very affordable, just takes some setting up"
Once set up, OneSaas has saved me hours each day by automatically syncing my online store and MYOB. I now no longer have to enter invoices manually. I simply sync the two platforms and the invoices are now in my sales register, ready to print. Their support team (and especially Josh) are excellent, too. I use the basic plan, and at $30 a month I'm essentially paying a dollar a day to get about 2 hours of my day back. We have had some issues with orders/invoices not syncing because product codes on the website didn't exactly match product codes in MYOB. This is not a problem with the software, you simply have to make sure that the codes match, but if you do have a lot of products that is a lot of codes to check through, which makes setup time consuming. If memory serves, the company offers a professional setup service for a fee. Whilst using the software is quite simple, the setup can be somewhat complex. For that reason I would recommend opting for the professional setup, especially if you aren't comfortable with setting up software in general. I used to spent a lot of my day manually entering online order data into MYOB to generate invoices. Now that that process is mainly automated (thanks to OneSaas) I can spend that time on other tasks such as SEO and marketing. "Great solution - outstanding customer service throughout"
Customer Service was fantastic at all times. Full customer service during free trial, fantastic support during setup, and ongoing customer service is every bit as attentive as when they are trying to earn your business. Rare in my experience, but exemplary here. OneSaas is based in Australia, but I have found their live customer service to be available during US business hours as well as outside of business hours. There are a handful of very helpful experts readily available via chat - Josh and Matt both stand out in my recent memory - though everyone I've worked with has been fantastic. Some Zoho Fields missing - nothing critical. OneSaas captures everything you need from Zoho and imports to QB online. There are a handful of fields in Zoho that we use internally, and those fields do not transfer. I had hoped that I could choose which fields in QBO these custom Zoho fields would sync to, but that is not an option at this point. Again, this in no way impedes the process of our business, it was just something I might have enjoyed for further detail/notes. Initial setup can feel difficult - it automatically syncs certain fields and makes a "guess" on what should match with what. Took a little time to go through it and make some tweaks to get it to match how we were utilizing the two products (ZohoCRM and QB Online). You might have an easier setup depending on how you have Zoho/QBO setup. Automatically syncing invoices from Zoho to Quickbooks Online. Seamlessly integrating has removed the chance for human error, automated the data flow from fulfillment team to accounting team, and made invoicing much faster and error free. "Great Suppoort, very useful integration"
The app can connect to multiple channels and platforms and makes the task of bringing sale, product and customer data into Quick Books a great deal easier. It can be tricky to get the configuration right but the support is second to none. Adela has been superb and very patient! There are some snags, rounding issues and the like but they are easily worked around. My advice is to stay on top of the synchronisations as any errors can be dealt with quickly. Accounting with multiple channels, Amazon, Ebay, Magento etc is a nightmare and OneSaas makes it a lot easier! We are using OneSaas to share sales data on our website (Woocommerce) with our accounting system (MYOB AccountRight). OneSaas has enabled us to connect the 2 systems to allow customer orders placed online to feed down to MYOB automatically. OneSaas also has a very helpful Customer Care team available for live online chat and even the response time to emails is less than 1 hour. I mainly deal with Josh who has been able to resolve all my issues very quickly. We had a few teething issues configuring the connection initially, however the OneSaas customer care team has worked with us and their tech team to resolve most of them quite quickly. The only issue still unresolved which we are keen to see a resolution is the rounding of item prices feeding into MYOB. Being a wholesaler, we work on ex-GST pricing and there is currently a limitation which causes item prices to feed into MYOB unrounded to 5 or 6 decimal places rather that 2 decimal places (due to reverse calculations of the GST). While this is only a cosmetic issue and does not impact the subtotals or totals on our invoices, it would be good to see them have 2 different configuration options for Inc-GST and Ex-GST pricing. I would highly recommend OneSaas to anyone considering using an integration tool between their web based system and accounting system, especially online retail businesses. It also works well for wholesale ordering which is our reason for using this service. We no longer have to manually enter invoices on orders placed via our website. This has saved us a considerable amount of time (so far 1 hour a day) and we will continue to realise the benefits as more customers start to order online. "OneSaas - unparalleled support from the expert team." We have been using OneSaas for 3 years now with a minimum of issues and problems. This is a very complex scenario and having the experts on hand when issues arise has been key to a successful integration of our systems. The OnSaas team are skilled, experience and so helpful. Adela, Teo and Marius no name but a few of the OneSaas team. There are a limited number of integrations to other systems e.g. PipeDrive. Eliminating time consuming, manual transfer of data from one system to another. The biggest benefit is the cost saving directly related to manual tasks of data transfer. Always very helpful support, with a quick response time overall. Johnny has been assisting us since we first started about 4 years ago, and the service has been wonderful. The integration has allowed us to be significantly more efficient. Couldn't recommend them more. Customer shipping details aren't given priority when syncing through over contact card details. "Couldnt live without it. I had budgeted for custom integrations that were not needed"
I would like a support number and pay a premium for it. However I get that at the price of this type of SAAS software support is chat/email etc. Chat support has always been instant and fixed any issues we have. "Excellent Customer Service to Reslove any Issues"
Brings our online store orders and syncs them with our Quick books online accounting system. "Great automation tool and excellent support"
Onesaas just works. We have used other sync tools for our business in the past and we have to continually monitor them. Onesaas is so simple and reliable. Dealing with Johnny is like having someone who cares about your business working for you. He is always polite and is extremely quick to fix / answer any of our questions. Order transfer, update tracking, shipping details ect. When it isn't working it is a completely different story. Our plugin has not operating properly for over 2 months now with no end in site. Thousands of dollars lost to refunds as the plugin is affecting our stock levels meaning we are selling products that are out of stock. For over 2 months there was been constant back and forth with their 'tech team'. DO NOT TRUST ONESAAS - whilst the software is great whilst it is working, when there is a problem, it is near impossible to fix with their tech team. STAY AWAY! Please reach out to us at support@onesaas.com and reference G2 in your email so we can understand why you had an exceptionally poor experience and can respond properly. The setup process can be a bit tricky - but OneSaas has great support that is truly focused on making the solution work for you. They also offer a lengthy trial to make sure things get setup correctly. Matt, Johnny, and Marius from the support side were very helpful throughout the process. Real time syncing would be a helpful addition. This does a good job syncing between Woocommerce and Quickbooks Online. "OneSaas helps my clients easily run their business"
Great service. Plugin worked flawlessly to integrate xero and freshbooks. Support was very helpful in getting it configured. Very quick to respond with great tech support. Thank you to Adela who was very helpful and fast to respond and to solve. Used them to sync WooCommerce with Quickbooks Online. Working great and the tech support from Adela, Rafael, and Hazel was top-notch. I didn't really dislike anything in particular. Got it working and was happy with the experience. Client was already using Quickbooks but wanted a WooCommerce site. Now orders are imported into quickbooks and they can keep the inventory numbers synced. I most appreciate the way Josh (OneSaas) took the initiate to solve the problem with having to be prodded. The enthusiastic and conscientious way the issue was addressed was a pleasant change to the deflection or buck passing often experienced with email support tickets. There was nothing I did not like about my interaction with Josh (OneSaas). "Best solution to the integration of critical business applications"
1. does exactly what it says. Using it in warehouse for automatically generating the invoices. There are no errors with incorrect data entry. I needed an answer about a few things regarding oneSaas. Teo answered everything perfectly. * We monitor all OneSaas reviews to prevent fraudulent reviews and keep review quality high. We do not post reviews by company employees or direct competitors. Validated reviews require the user to submit a screenshot of the product containing their user ID, in order to verify a user is an actual user of the product. Hi there! Are you looking to implement a solution like OneSaas?